As any Rochester accountant will assert, you are required to repay your tax obligations throughout the agreed term of your Chapter 13 repayment plan. Discharging – or wiping out – your tax debts is not possible even under a declared state of bankruptcy and, hence, the Internal Revenue Service (IRS) will consider your non-dischargeable tax debts as due and outstanding. In this regard, you may still require the services of a Rochester accounting firm like Rizzo, DiGiacco, Hern&Baniewicz for tax and finance planning purposes. 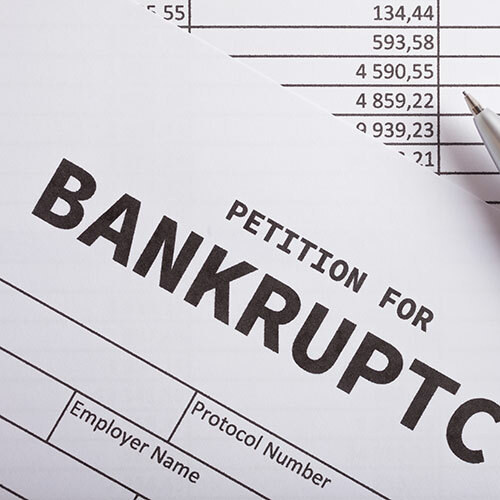 Under Chapter 13 bankruptcy, you are not required to sell any of your assets to pay back your tax debts immediately since you can repay over the term of the bankruptcy; in contrast, priority taxes in Chapter 7 bankruptcy must be paid immediately. Plus, you have the opportunity to pay these taxes at 0% interest rate as granted by the bankruptcy court, which the IRS cannot oppose. Ask us, one of the best Rochester consulting firms, or ask a Rochester CPA how this can be achieved. You can never have too much information and too much guidance when it comes to overcoming the challenges of bankruptcy! You may even seriously consider CFO outsourcing for your business soon after. If your tax debts are the results of a sales tax audit and a labor audit where sales taxes and income taxes, respectively, are involved, then you are more likely to pay for these obligations in full. Sadly, these are not akin to a non-taxable non-profit account where the IRS cannot get its hands on. All non-priority tax debts are lumped with unsecured debts like credit card debts in a Chapter 13 repayment plan. Keep in mind that unsecured debts have two important aspects, namely, these are paid after the all of the secured and priority debts have been paid, and these cannot be fully discharged although these can be paid at a fraction of their original amounts. Also, the strict requirements for classifying tax debts as non-priority in a Chapter 13 bankruptcy is the same as in Chapter 7 bankruptcy. You will still pay for your debts regardless of your present financial situation now. Money men go out on own. Accountants are creating niche for themselves in local industry. Mary Chao Staff writer John Rizzo and Brian DiGiacco were on the partnership track at Bonadio Group, one of the largest accounting firms in the region.